Clear braces are made of a translucent (clear) plastic material. They are most popular with adult patients, due to their cosmetic appeal. 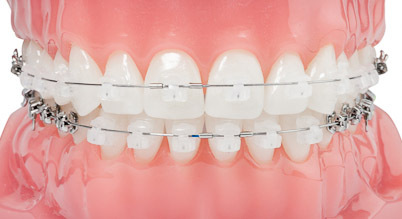 Clear braces means you don’t have to worry about the stigma that goes along with metal braces. We can give you a clearer way to a straighter smile with our 3M Clarity braces. Contact us today to take the first step on the clear path to a straight smile!